Wa-s-sabiqoona-s-sabiqoon, 'ulaa'ik al-muqarraboon, fi jannatin na'im. "So bear with patience all that they say, and glorify the Praises of your Lord, before the rising of the sun and before (its) setting. And during a part of the night (also), glorify His praises, and after the prayers." In Sacred Practice of Islam, there is a teaching of the Messenger of God passed down primarily through his spiritual heir and close companion Ali to sing the praise of God, to Glorify God and to acknowledge the ineffable mystery by using the formulas respectively which are Al-hamdu-li-llah, Subhan-Allah and Allahu-akbar. They are known as Tahmid, Tasbih and Takbir respectively. The Arabic phrase Al-hamdu-li-llah is a phrase of thanksgiving, to give thanks by praising God. Literally it means "praise be to Allah," but a more contemporary meaning would be, "Thank you Allah." Al-hamdu-li-llah is close in meaning to the Biblical phrase Hallelujah. The phrase Subhan-Allah is a phrase of responding to the awe of Allah. A contemporary Teacher of Islam, Etsko Schuitema recently said it beautifully, "The supreme application of human attention is to be a vessel to carry awe." Literally Subhan-Allah means 'Glory be to God.' This is the awe inspiring state of the heart of lover in the bewilderment of Supreme Glory manifested in bewildering and countless manifestations. The phrase Allahu-akbar is a phrase to acknowledge the supreme transcendence and ever ineffable mystery of God Who's Essence remains beyond the idea of beyonds. Literally Allahu-Akbar means Allah is Greater (than everything and anything else) or Ever Greatest. This is the formula that aspire the seeker to draw even more closer to the One Who is Ever Expansive and never limiting and can never be limited by any limitations, whether it be mental, spiritual or otherwise. This is also the formula that separate every illusion (ghayrullah) from the Real. These three formula used together in harmony helps achieving spiritual illumination of the heart and they are also helpful in developing the condition of the Heart of a grateful worshiper ('abd), awe-inspired lover (habib) and illuminated gnostic of God (aref). Prophet Muhammad, heartfelt salutation of Divine peace and blessings to him, who said, "Shall I not tell you a thing upon which if you acted you would catch up with those who have surpassed you (in doing good and righteousness)? Nobody would overtake you and you would be better than the people amongst whom you live except those who would do the same. Say Subhan Allah, Alhamdulillah and Allahu Akbar thirty three times each after every Salat (prayer)." Once Prophet's beloved daughter Fatima and her husband Ali, Allah be pleased with them, wanted to request for a helper to help them in their work. Prophet refused since he and his household but later he went to them and said thus, "shall I not direct you to that which is better than a helper, if you get into your bed say Subhanallah 33 times, and Alhamdullilah 33 times and Allahu Akbar 34 times, Allah will suffice you from needing a helper. Ali says, "by Allah after saying it Allah increased us in strength so we did not need someone to serve us". And while passing down this practice the Mystic Grand Master recommended to repeat them Thirty Three times each after prayer. This has become the most common wazifa or regular spiritual practice of Muslim community. 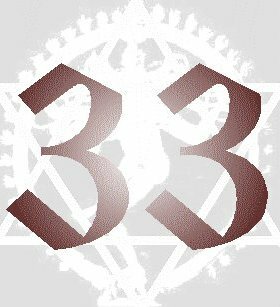 The number used here 33 is very interesting to note because according to ancient science of numbers or numerology 33 is a Master Number. Qualitatively the Master Number 33 is like number 9, the highest number. Symbolically 33 is a number of bestowal of gift. In various sources Number 33 is associated with the following symbols:Christ-like, Christ-Consciousness, Number of Healer, Compassionate, Blessing, Teacher of teachers, Martyr, Inspirational, Honest, one who turns away from the reflected world to turn towards the Real world (the everlasting Kingdom). The experts of numerology also identifies number 33 as the number of prayer, chanting, spiritual oneness, creative energy and higher mind. Whether we will ever fully comprehend the magic hidden in the language of the cosmos, namely, in the language of numbers, the wisdom passed down to us by our spiritual elders, who inherited them from the Messengers of God, the Apostles, the Broadcaster of Divine Wisdom, it is sufficient to say that the most important thing is the tasting. The tasting of the fruits that ripe from spiritual practices. The Sufic term for "tasting" is Dhawq. Dhawq is the result of Shawq or longing. Abd al-Qadir as Sufi said, "It is the heart's longing to meet with the Beloved. It is the delight of the heart as it moves towards its Lord. Desire ceases with arrival, but yearning and longing never end, for the heart of the lover will never be satisfied by one glance. More secrets will be sought for, more unveiling, more knowledge. And the gifts of the Beloved continue beyond our expectations or merit, and the secret of the Beloved are endless." It is for this reason, spiritual practices such as repeating the formula of Al-hamdu-li-llah, Subhan-Allah and Allahu-akbar are continual practices in response to the reality in which unveiling is endless. When Shawq or longing or desire for God intensifies in the Heart, then in unexpected moments 'taste' (Dhawq) is given. They can come in listening to special tunes (sama), Sacred words or chants or even in movement. When this tasting is bestowed, then it is life itself, another kind of life, as if breaking for the first time. In the words of a Teacher of Islam, "This tasting if you like - it is the first impulse of wakefulness after a long night of sleep. The sleeper awakes. Sleeps again. Stirs. This stirring precedes rising and full day ligth experience after the night of ignorance." May with every pronouncing of the wazifa of Al-hamdu-li-llah (praise be to God), Subhan-Allah (glory be to God) and Allahu-akbar (everlasting greatness belongs to God), as recommend by HabibAllah, Muhammad Mustafa, Sallalahu Alaihi wa Sallam, may our Heart's night of ignorance fades and may there the Sun of Gnosis rise and illuminate for us all. 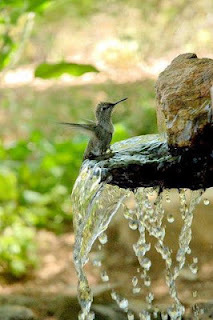 Wheresoever you may be, may Divine peace, the true Peace find its abode in your Heart.